Afterglow Cosmetics bridges the gap between natural and high-fashion cosmetics to bring you a truly natural blend of bio-active mineral make-up with the fabulous, organic infused, highly pigmented color palette you crave. Alba Botanica produces a line of sensual, exotic body care products that delight your senses, enhance your natural beauty, match your personal style with pure plant proteins, natural botanicals, vitamins, advanced sea enzymes and tropical fruit, nut and plant essences from the Hawaiian Islands. Alba Botanica is committed to reducing our footprint so that our company helps to preserve and heal the planet, now and for future generations. Acquarella Nail Polish is a truly safe nail polish that is both water-based and non-toxic, (containing no Formaldehyde, Phthalates or chemical solvents of any kind). Acquarella Nail Polish hydrates the nail, helping to prevent nails from chipping, peeling and yellowing commonly associated with harsh conventional nail products. 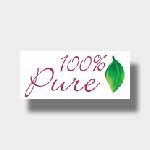 Apiori Beauty has produced an anti-aging skin care product line driven by the commitment to be “pure” and “innovation.” Every product formulation is pure, meaning it is free of toxic, controversial and unnecessary ingredients. 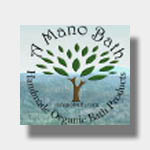 A Mano Bath offers organic Italian handmade soap, all natural soap, and bath products made with organic Italian extra virgin olive oil. 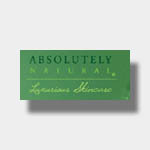 Absolutely Natural Luxurious Skincare is a line developed with totally chemical-free oils, lotions, and after sun aloes and formulated with the finest ingredients. Mother Nature provides all of the ingredients: Pure Aloe Vera Gel, Rose Hips Oil, Squalane, Kukui, Walnut, Macadamia, Passionflower, Hazelnut, and other exotics. 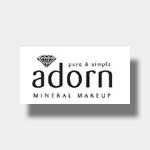 Adorn Mineral Make-Up produces mineral cosmetics via sustainable and environmentally friendly standards, with a commitment to building a relationship between natural beauty and the beauty of nature. 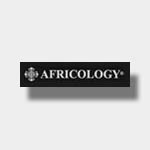 Africology makes use of the healing essences of some of South Africa’s indigenous plants. The active ingredients in our skin care products are valuable in the repair process and assist with the restoration of damaged skin tissue. You can never be too young to start this preventative process. 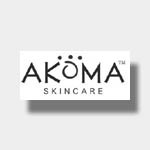 Akoma Skincare has developed a line of organic, natural and fair trade products for men and woman with an emphasis on ethical sourcing of raw ingredients Providing high quality and great value, Akoma is also committed to having a positive impact on emerging economies in the developing world, particularly in Ghana where they are instrumental in maintaining cooperatives in various parts of the country that process and produce their Shea Butter and Palm Oil products. 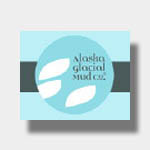 Alaska Glacial Mud is a skincare line that combines the glacial mineral mud of Alaska’s Copper River Delta with traditional botanicals from plants indigenous to the Pacific Northwest for superior skin care. They are dedicated to high quality ingredients and product performance backed by a commitment of sustainability to the land and the people who depend on its bountiful resources. 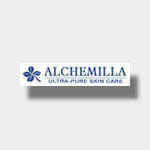 All products are free of synthetic and toxic ingredients and are cruelty-free. Alchemilla is a natural alternative to skincare that is based on healing plant constituents that provide the right nourishment to your skin and promote optimal balance, rather than superficially manipulating the skin’s appearance with a chemical cocktail. Developed without the usual toxic additives, their products are hand made in small batches from potent organic medicinal and beautifying herbs, many of which are grown on our 100% wind powered herb farm in Oregon. Alchemilla grows, harvests and extracts their herbs using chemical-free life-force preserving methods to ensure our botanicals are in optimum condition for using in our skin care preparations. 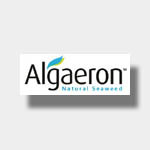 Algaeron skin care range is developed with all the healing benefits of the Ecklonia Maxima seaweed which is hand-harvested from the pristine waters at the southern tip of Africa in strict accordance to strict organic and ecological guidelines. This variety of seaweed miraculously contains every mineral and vitamin essential for beautiful well-nourished skin. 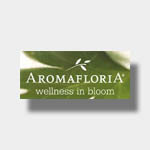 Aromafloria provides a collection of bath, body and skin care products that is expertly formulated with aromatherapeutic essential oils, medicinal herbals and exotic botanicals. Infused with Nature’s healing benefits, they remain authentic solutions in a marketplace overflowing with mass-produced brands. 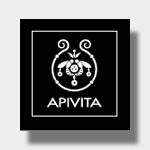 Apivita believe in the power of nature to create pure, safe and nourishing products. With their full lines of body and skin care for men, women and children, they aim to promote sustainability in everything that we do. From the initial concept all the way through to the final product, we integrate our beliefs in ethical business to environmentally friendly processes. Aubrey Organics believes that how a company conducts its business is as important as what it sells. Ethics, values, environment, responsibility and leadership are all at the heart of Aubrey Organics. We have taken a leadership role in giving back to the earth, its people, and its culture, as we are all connected. That is only fair. 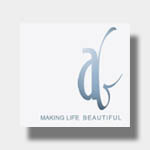 Anita Grant produces and handmade, natural Products for hair, body and face. 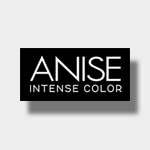 _ Anise provides high fashion nail polish colors and treatments with non-toxic formulas that do not contain formeldehyde, DBP or toluene.